We are experiencing tremors filtering through the energetic landscape. Quantum calling cards heralding the coming great shift, the release of many, many souls from dark to light. The process has begun. The game has changed. We are no longer operating in the third dimension, the material plane has transitioned to the fourth realm. We are in training. We learn the rules of engagement in the matrix and astral plane within fourth realm frequencies. We have been upgraded, lightbodies activated. 4d skill set downloaded and ready to be embedded. We are here as warriors of light, healers, missionaries of light, starseed, volunteers. Phase 3 is the preparation stage, accelerated learning curves, systems rebooted. The Shift is well underway. Its getting intense beautiful people. Karmic release has hit new depths. More layers come off. We face deep wounds, hurt threatens to erupt from our beings. Let it. Cry. Reach out. Hug yourself. ‘Better out than in’ as my granny always said. It’s time to close some timelines down. Lock them out of our future-scape. Break destructive behavior patterns. Divorce matrix demons. Retrain our brain to positive algorithms. Release the fear of loss, vacancies get filled. Solitude heals. Older ancestral karma is being released across the population. The demons attached to our ancestral lineage, haunting us, draining us, holding us back are disturbed by the river of light flowing through the fourth realm. They seek the exit. Many lightworkers will resonate, ancestral ties are being cleared. Walk the path of divine intolerance. Stay true to your self, do not bow to others will, if your self care, mental health or energetic equilibrium is threatened, give nothing but the bare minimum. Limit exchanges, interaction and eye contact. Pull back emotionally, protect in sacred circle of light and adopt light warrior stance. Dimensional turbulence is navigated with meditation, mantras and mindfulness. What will it look like? We will see the old rules of engagement change. Instead of conformity to restricted social rules being the agenda, we will see compassion quietly thread her way through the fabric of our communities. Matrix programs will glitch, short circuit, crash. The others will, over time, move out of our frequency range. Humans will look for spiritual healing, released from constraints in this changing landscape. Those who see the matrix will see the solidification of it in the fourth realm. It will become more apparent, more sinister, more restrictive. The police state will reveal itself more authentically. We use our votes, our influence, our intellect and our hearts when engaging with the matrix. Just as the dark manipulates perceived reality, casts spells on the material plane, so to can we perform energy wizardry. We can change the algorithms, we can transmute dark to light on multiple dimensions. In cyber space we can embed our words, images, comments in light. Like a virus we infect the world wide web with love. We can spread light in our world through kindness, compassion, healing and gratitude. In the fourth realm some of us are being called to adopt warrior stance. We will be active in the rescue and release of many souls. Straddling multiple dimensions, we are the torch bearers, the light warriors, the way show-ers and the truth seekers. We get to know the dark web. We learn more about the enemy within. We hone our third eye skills, reading energy not the information our brain interprets. Get used to the motion sickness, find ways to deal with nausea, dizziness. We are acclimatizing to transdimensional existence. We are learning to move between states of reality. To affect consciously the spaces we find ourselves, active in dream state, not passive. We are in Jedi training for phase 4. Light saber at the ready, those who resonate with these words, tune into your higher self, there are messages, downloads to be embedded. Are you ready to ‘know king fu’ light warriors? The machine sees us, it’s time to look at it, study it, find it’s weaknesses. Stay away from traps, stealth mode on. Paranoia is soldier senses, listen and act accordingly. Stay grounded in love vibration with mindfulness, nature, meditation, soul tribe and water. For now we watch, adjust to our new transdimensional experience of life and meditate love frequency. Activation codes are being made available for upload. Connect, protect, activate. Missionaries of light, angels walking among us, portals will be activated. Practice, learn, trust universal source love, it pulses in your being. The restraints, expectations you have been dealing with will start to ease off. The furniture of our lives is being rearranged as our spiritual tribe prepare us for the next phase of our mission. We will be part of the great healing of the astral plane. Trinity portals will be activated on and off to prepare all. Dimensional slippage can be managed, harnessed and used to our advantage. Those channelling fifth dimension light to Gaia’s material plane will be the anchor as multi dimensional portals are activated to release trapped, traumatized souls in the fourth realm. The time is not yet, we are preparing. Upgrades have been integrated and embedded, time to stretch our new skill sets. Telepathy, energy reading, shamanic healing. Allow others to approach for healing only if the energy reading is right. Infiltration is rife. Cuckoo’s in the nest. We are easy to spot in the fourth just as they are becoming easier to spot for us. Smoke and mirrors friends. Cloak your light. Work with higher self, ascended beings and angel light for protection, cloaking your light and loved ones light. We can use our love shield as an invisibility cloak in the fourth, just say the words to activate the light magic. Now is not the time for battle. Now is the time for healing matrix wounds, lancing ancestral karma, honing our new 5d skills, casing the fourth realm. When do we see, sense, it? How does it operate? How does it communicate? Study the enemy light warriors. Practice your skills, meditate as often as you can for guidance, upgrades and alignment. Get agile. 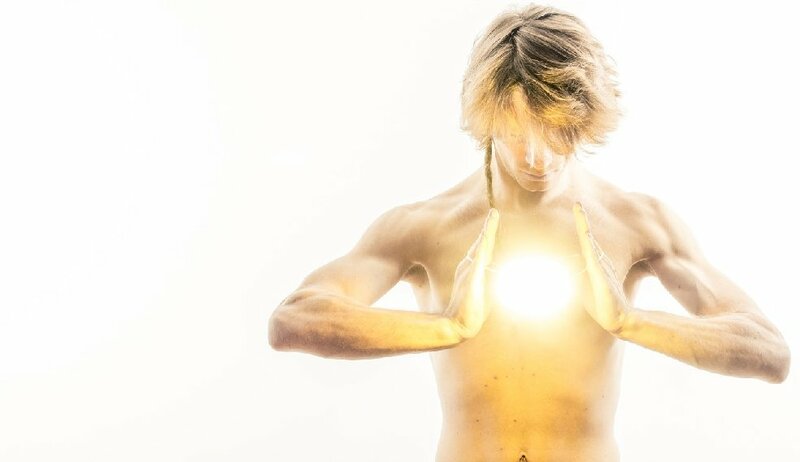 Lightbody activation is accelerated. We lighten to enable us to move between dimensions with less sickness. We become more agile, core strength and balance is required to quantum leap timelines and dimensions. We are changing because the game has changed. We have been leveled up. Time to activate, integrate, embed. These are exciting times friends. We survived the matrix, pat on the back for all! We can sooooo take on the fourth realm. Healing the world is still the mission. One healer, one high vibration, one soul at a time. In light and love cosmic surfers.